Earl's Hex and Allen Head NPT Pipe Plugs are constructed from aluminum and offered in a variety of sizes for your custom project. 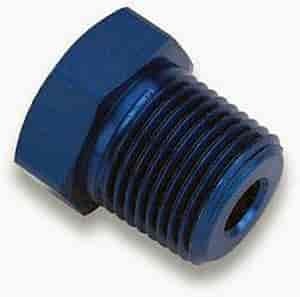 These fittings are excellent for sealing extra ports on intake manifolds, cylinder heads, and fuel pressure regulators. ! Earl's 175002 - Thread Sealing Tape 1/2" x 520"